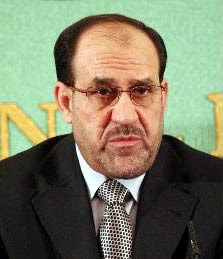 After his well-intentioned but poorly executed military operation in Basra that spawned a week of violence in Baghdad and throughout southern Iraq, Iraqi Prime Minister Nuri al-Maliki has issued an ultimatum to radical Shia cleric Muqtada al-Sadr: Disband the Mahdi Army (jaysh al-mahdi, or JAM) or be barred from all future political activity in the country. This is a real threat to al-Sadr, who sees himself as the future leader of a Shia-dominated conservative Islamic state. Al-Sadr has been positioning himself for this goal for years. Last year he declared a ceasefire soon after the US troop surge began in earnest. He did not do this out a sense of Iraqi nationalism or patriotism – he did it out a sense of survival. 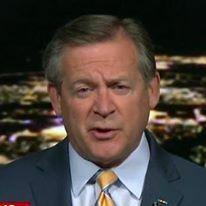 With the influx of over 20,000 additional American combat troops whose mission was to engage elements involved in ethno-sectarian violence, he knew his militia would be a prime target, along with al-Qa’idah in Iraq and any remaining Sunni insurgents. His orders to his fighters to stand down allowed the American commanders to focus their combat power on the other players. This was a smart move on al-Sadr’s part. With al-Qa’idah in Iraq now diminished and being forced into a fight for its survival in Mosul, Muqtada al-Sadr has emerged as a key power broker. However, to be a popularly accepted leader of a Shia-dominant Islamic Iraq would require greater religious credentials than his current status as a hawjat al-islam (“authority on Islam”). To that end, he has spent most of the last year in Iran studying to become an ayatollah. 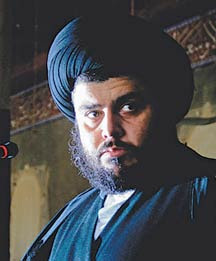 The title of ayatollah would enhance al-Sadr’s already prominent status as a member of the well-known al-Sadr family, as well as being a sayid (descendant of the prophet) himself. Al-Sadr’s star is on the rise. He has survived numerous confrontations with both the government in Baghdad and with American forces. He usually is on the losing end of these confrontations, yet always manages to emerge with increased stature among his followers. His growing influence represents a threat to the ruling Shia faction headed by Prime Minister Nuri al-Maliki. Al-Maliki’s Dawa’ party is closely allied with the Supreme Islamic Iraqi Council (SIIC), led by as-Sayid ‘Abd al-‘Aziz al-Hakim, a sayid himself and a member of the other prominent Shia family in the country. For the Dawa’–SIIC alliance to remain the key power brokers in the country, they have to marginalize al-Sadr. The first step is to eliminate al-Sadr’s militia. The chances of al-Sadr disbanding the JAM in response to al-Maliki’s demand are, in my opinion, almost nonexistent. Without his militia, al-Sadr will have no means of opposing the government and will likely be forced into irrelevance, arrested or possibly even killed. One could almost make the argument that the recent government operation in Basra was an attempt to begin the process of marginalizing al-Sadr. Unfortunately, al-Maliki agreed to a ceasefire proposed by al-Sadr before doing enough damage to the JAM. Al-Sadr was able to once again survive a confrontation with the government and even elevate his stature among his supporters - there were huge “victory” celebrations in the streets of Sadr City. He appeared to be a successful militia commander, despite the heavy losses his fighters suffered, as well as a statesman for proposing a negotiated end to the confrontation. This is a classic Byzantine power struggle. Muqtada al-Sadr has to survive to realize his goal of being the leader of Iraq – that survival required he keep his militia intact. On the other hand, Nuri al-Maliki must marginalize al-Sadr if the Dawa’-SIIC alliance is to remain the key power bloc in the country. It’s all about power. The current ceasefire is temporary - there will be more confrontations between Nuri al-Maliki and Muqtada al-Sadr. The winner will be the most powerful man in Iraq.